For truly personalized and successful breast enhancement surgery results in San Antonio, TX, many patients choose Dr. Quintessa Miller, at After Hours Aesthetics—an advanced cosmetic surgery clinic open on weeknights, weekends and even holidays! Dr. Miller is not only an experienced San Antonio breast surgeon—she's double-board certified by the American Board of Surgery and the American Board of Plastic Surgery! Dr. Miller has built a reputation on her commitment to helping San Antonio breast augmentation patients achieve safe, natural-looking breast surgery results, time and time again. Dr. Miller's research has been published in several respected medical journals, and she's presented many times at large surgical symposiums. She has also been rewarded and honored on multiple occasions for medical excellence and research. In 2003, she received the Surgeon General's Award for Best Scientific Paper in Plastic Surgery. At Dr. Miller's clinic in San Antonio, breast augmentation and breast lifts are two popular treatment requests. Dr. Miller is proficient in performing breast augmentation with either saline or silicone implants, and also provides breast implant removal and revision to San Antonio, Shavano Park, Hill Country Village and Alamo Heights. Breast reduction and breast liposculpture are also available in San Antonio, at After Hours Aesthetics. For more details about breast augmentation options in San Antonio, TX, or to schedule your free breast enhancement consultation with Dr. Quintessa Miller of After Hours Aesthetics, contact us today! 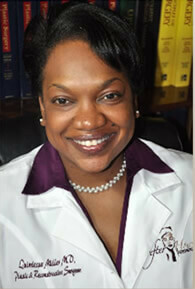 Contact us to arrange a private consultation with Dr. Quintessa Miller today. "Dr Miller made me feel comfortable and answered all my questions. I'm a health professional as well and she discussed in detail the procedure and potential complication/outcomes and her tenaciousness at prevention of complications. She personally showed me before and after pictures of clients and was honest regarding expectations for my own outcome. I left the appointment trusting that she is the Doctor I want performing this life changing procedure." "I arrived 20 minutes before my appointment and no one was there to answer the door. In addition to arriving early, I waited an additional 30 minutes and no one came to the door. There was nowhere to sit and I was standing outside the door the entire time. I was never seen for my appointment. " "I'm excited about the procedure. Dr. Miller was very professional and she did an excellent job explaining all the procedure as well as the risks. I would like to work a plan or something to make payments arrangement." "I had a janitor show me the entrance to the clinic. There needs to be a note saying to use the after hours clinic entrance. Other than that, my experience was great." "I love the doctor, staff, and facility. My plan is to have this procedure done... I was trying to apply for financing but was told that I would get a call the next day hear whether or not I was approved. I did not receive a call unfortunately. If I do get approved i would like the procedure to be done asap but if not, it looks like I'll be waiting a while longer until it's affordable." "Dr Miller was amazing!!! She made me feel very comfortable, answered my questions, and spent a great deal of time with me! " "Sugeon took time for me, and I feel confident in her. "